In some people, AMD advances so slowly that vision loss does not occur for a long time. In others, the disorder progresses faster and may lead to vision distortion often described by patients as wavy or blurred. 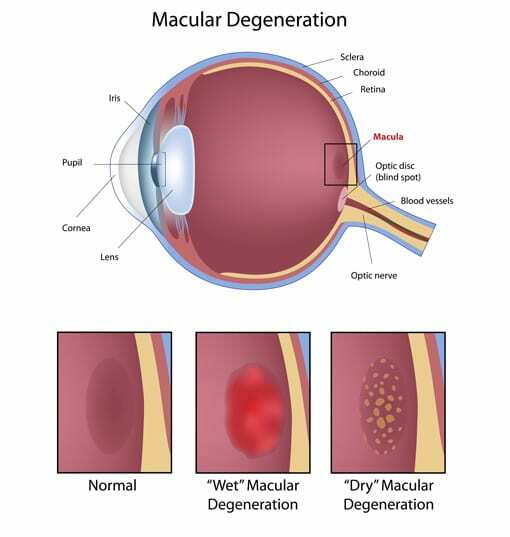 Complete central vision loss can occur in advanced disease. The vision loss makes it difficult to recognize faces, drive a car, read, print, or do close work, such as sewing or fixing things around the house. Depending on the type and stage of disease, different interventions may help hinder further vision loss. We encourage you to schedule a consultation with Triad Eye Institute today. During our meeting, we will advise on whether or not you have Age Related Macular Degeneration, as well as compose a custom treatment plan designed to achieve the clear vision you’ve always wanted. Call our office today and one of our seasoned staff members will be able to assist you.